Capillary Electromigration Separation Methods is a thorough, encompassing reference that not only defines the concept of contemporary practice, but also demonstrates its implementation in laboratory science. Chapters are authored by recognized experts in the field, ensuring that the content reflects the latest developments in research. Thorough, comprehensive coverage makes this the ideal reference for project planning, and extensive selected referencing facilitates identification of key information. 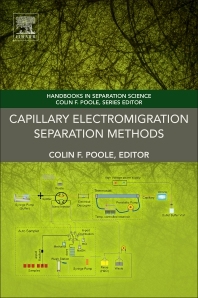 The book defines the concept of contemporary practice in capillary electromigration separation methods, also discussing its applications in small mass ions, stereoisomers, and proteins.